Presiding officer, Matt Cooper, left, talks with Assembly members Christopher Quist, center and Aaron Lojewski, right. Assembly member Leah Berman-Williams prepares an amendment, far right. Asking the state legislature for actions and local money is an annual duty of the Fairbanks North Star Borough Assembly. An Assembly committee has been refining its Legislative Priorities for a few months. As KUAC’s Robyne reports, the Assembly voted on it last Thursday and is ready to send the “wish list” to Juneau. On the list is money for a woodstove change-out program to help subsidize homeowners who want to buy cleaner-burning wood or pellet stoves. Since last October’s municipal election, the borough has no power to regulate solid-fuel burning devices. But the Assembly wants to continue the popular woodstove change-out program. Part of the request to the legislature would include money for retrofit devices such as electrostatic precipitators, commonly called ESPs. The committee submitted a bulleted two-page list in the hopes it would be a quick read for a state legislator to understand what people in the borough need from the state. But after discussions with the borough’s lobbyist about what might actually be funded, Borough Mayor Bryce Ward submitted a much shorter substitute resolution to be voted on at last week’s Assembly meeting. The substitute resolution targeted fewer maintenance items. Gone were major capital improvements like a new animal shelter and aquatics center. Assembly member Christopher Quist thought those items, among others, should be put back. On actions asked of the legislature, were consideration of a State Health Care Authority, and removing Cannabis from the Schedule of Controlled Substances. But that last one was not on the substitute resolution, and that caught the attention of some citizens, like Kris Thompson, who told the Assembly to include it. The Assembly amended the substitute to put the request about Cannabis back in. But then after discussion that took the Assembly to midnight, they voted down the substitute. Before passing the original resolution, the Assembly borrowed back some of the ideas from the mayor’s document, including a Pioneer Park Master Plan and expanding state law to help homeowners get grants and loans to convert their homes to natural gas. Just before midnight, the Assembly passed the resolution. 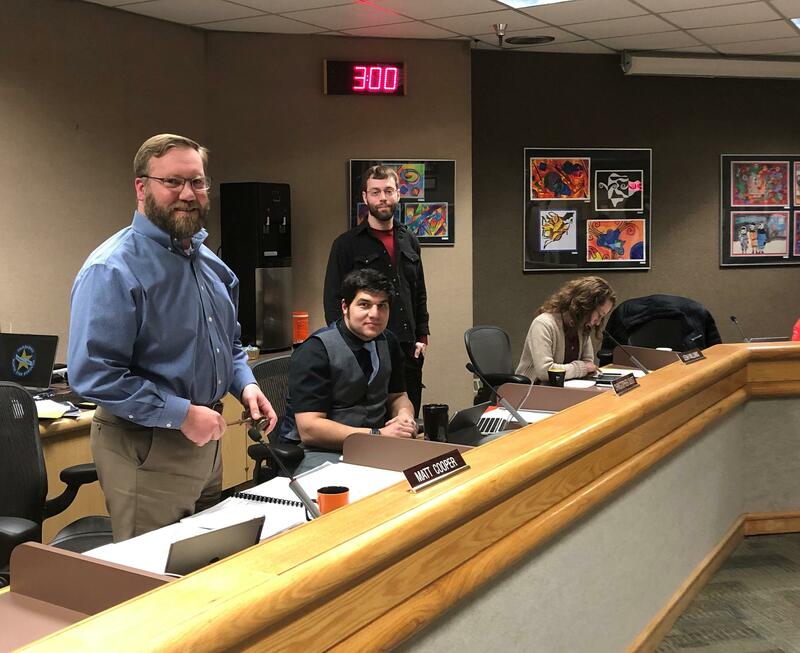 Grappling with the borough’s building repair backlog, the Fairbanks North Star Borough Assembly last night passed a requirement that the mayor put maintenance money in the budget each year. Borough staff estimates the schools, recreation centers, libraries and offices owned by the borough have millions of dollars-worth of repairs pending.